View the current state of the Moon (realtime). 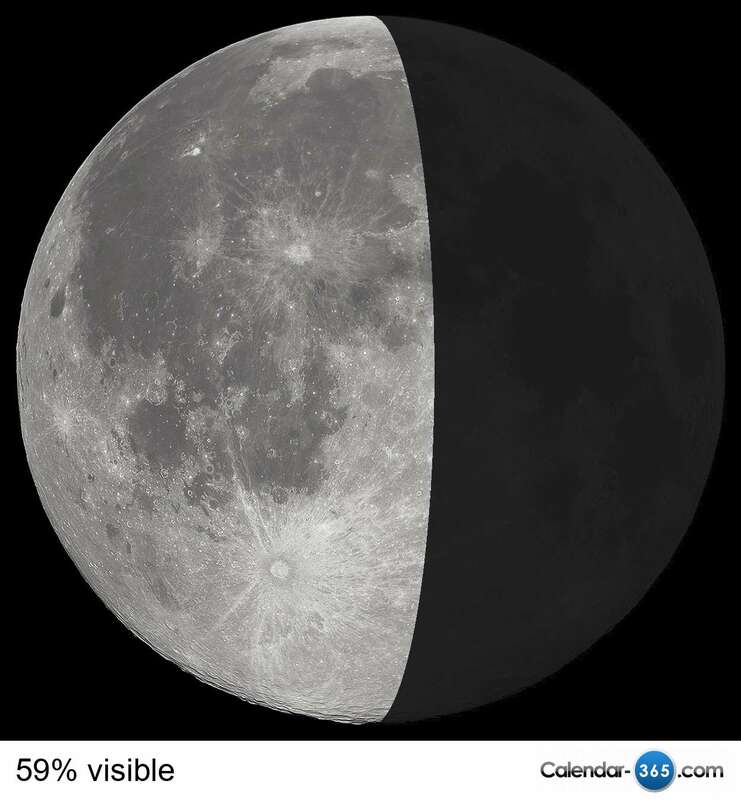 The percentage visible of the moon is listed under the picture. See also the Moon calendar 2019 and Moon phases (Full Moon) 2019 & 2020.